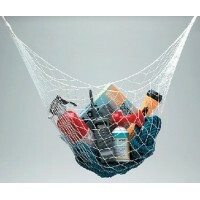 Nylon gear hammock Length: 60".. Fits over bunks, corners and other out of the way places. A must for items that need ventilation. Co.. 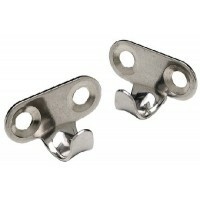 Corrosion resistant, light duty stainless steel lashing hooks for items requiring wall hanging. Idea..